We help keep organizations healthy through Physician-directed preventive programs and services to reduce healthcare costs, improve productivity, and reduce absenteeism. Our goal is to help people live longer, healthier and more joyful lives. By providing MD directed integrated wellness programs and resources that help organizations maintain a healthy workforce and reduce health-related costs, our programs address the four main modifiable risk factors associated with chronic diseases: Tobacco use, Poor nutrition, Lack of physical activity, Stress. Healthcare cost reduction and healthy employees is our goal: Through customized wellness, preventive and disease management programs, MD2YOU enables companies, health plans, and other organizations to improve their employee health and therefore reduce overall healthcare costs of the organization. 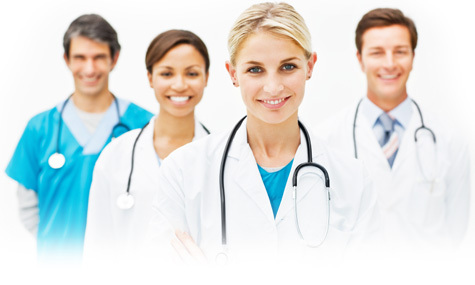 At the core of our programs is the utilization of licensed healthcare professionals like Medical Doctors, Nurse Practitioners, Physician Assistants, Registered Nurses, Registered Dieticians and other healthcare professionals trained in the prevention and management of individualized healthcare with a high touch component. At the core of everything we do are our business values. These are the principles that define what we believe, how we behave as team of providers, and our overall common culture. We work with people to overcome challenging life-long health habits and that requires us to be honest, trust-worthy and caring in our approach. © 2019 | MD2You.com. All Rights Reserved.